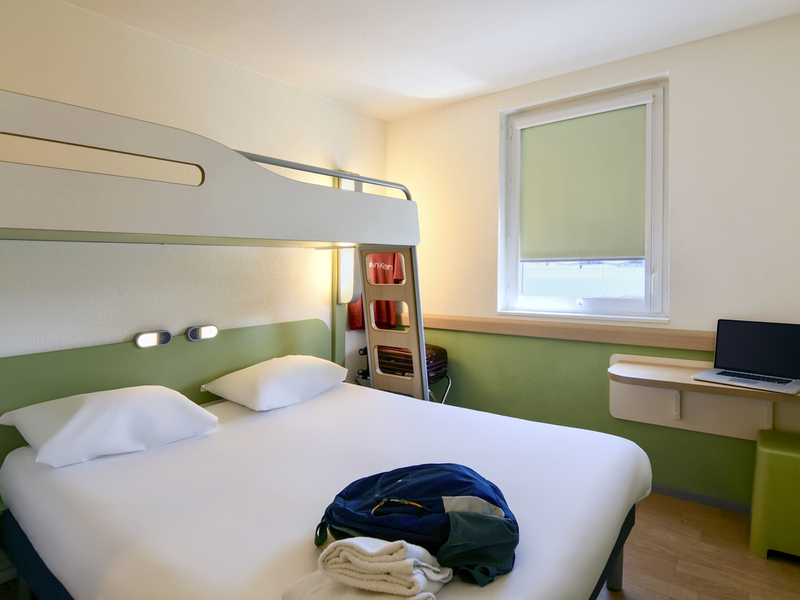 The ibis budget Nantes Rezé Aéroport hotel (formerly Etap Hotel) is located on the outskirts of Nantes and is 2.2 miles (3.5 km) from the city center. The Machines de l'île cultural project and the Ducs de Bretagne château are just 10 minutes away by car. Our economy hotel has 70 rooms with free WIFI, air conditioning and a private car park. The "La Table d'Edouard" restaurant adjacent to the hotel offers a great menu.